Utopian approaches to architecture, literature, philosophy and art generally serve as the starting point for Ian Kiaer’s work. 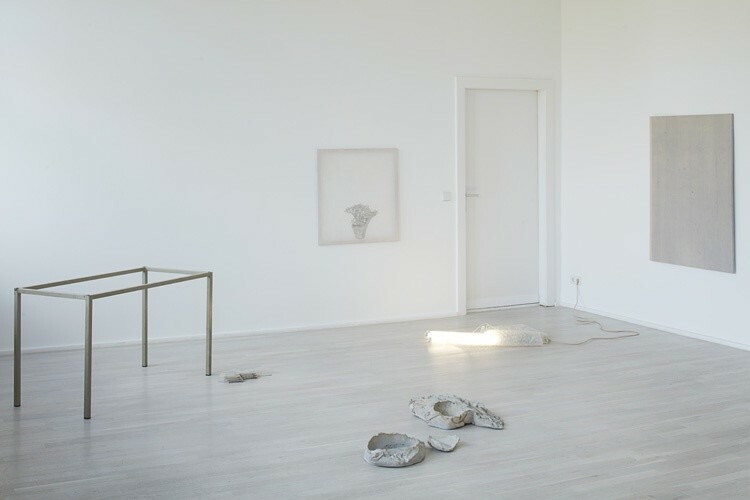 In connection with Ian Kiaer’s current solo exhibition Endnote, tooth (29 April – 28 June 2017) at Galerie Barbara Wien, the artist will give a lecture at the KUNSTSAELE Berlin. Under the title of Endnote, tooth, Kiaer's exhibition shows new works arising from his long-standing preoccupation with the architectural projects of Frederick Kiesler (1890–1965) and Moshe Safdie (* 1938). Kiaer's installations and objects made from everyday items, found materials, models and paintings can be understood as open, experimental arrangements or the (preliminary) findings of a series of associations. In his lecture, Kiaer will talk about certain aspects of Kiesler's and Safdie's thinking. He will also reflect on the model's relationship to the fragment, to painting, the minor form and the marginal. This will be set against the wider context of his work and past projects.